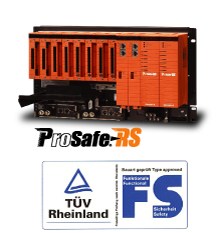 ProSafe-RS is certified to comply with the IEC 61508/JIS C 0508 (up to SIL3) international functional safety standards. This affirms that a plant will be securely shut down whenever a critical condition occurs, greatly improving plant safety. ProSafe-RS maintains plant safety at a high level while keeping to a minimum unnecessary trips triggered by a system's own abnormalities. Mitsubishi Chemical's system incorporates redundant CPU and I/O modules that can avoid almost all erroneous trips, contributing to increased reliability and plant availability. 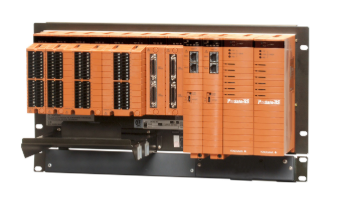 Plant information can be centrally managed thanks to ProSafe-RS's capability to achieve true integration with the CENTUM CS 3000 R3, enabling ProSafe-RS inputs and outputs as well as system operation statuses to be monitored on CENTUM's human interface stations. Emergency operations can also be initiated on the CENTUM stations for better emergency preparedness. "Usually introducing a new thing takes time: you must collect various kinds of information about it, then study actual records, reliability, and technological factors. This is even more so when you consider introducing a product that is used to guarantee safety. This is where ProSafe-RS comes in. Safety instrumented systems can be evaluated according to international standards and certified by a registered certification body. This spares users the trouble of conducting a feasibility study. The safety standards cover a wide range of items and are thorough about maintaining safety during the detailed design phases. As the system design utilized probability theory, engineers are better able to give a logical explanation of it to third parties. Introduction of the new safety system was a big decision for us as the existing interlock used hardware relays. As we understood the standards as well as the configured actual hardware and software, however, we were convinced that the new system took safety into much greater consideration than conventional systems and that we had made the right decision. Interlock-related equipment is growing more complex as it is required to ensure safety against all types of failures, and the same was true when panel instruments were replaced by distributed control systems (DCS). For this reason we employed the ProSafe-RS safety instrumented system. We also believe that the time is approaching when all hardware relays will be replaced by CPU-based systems."